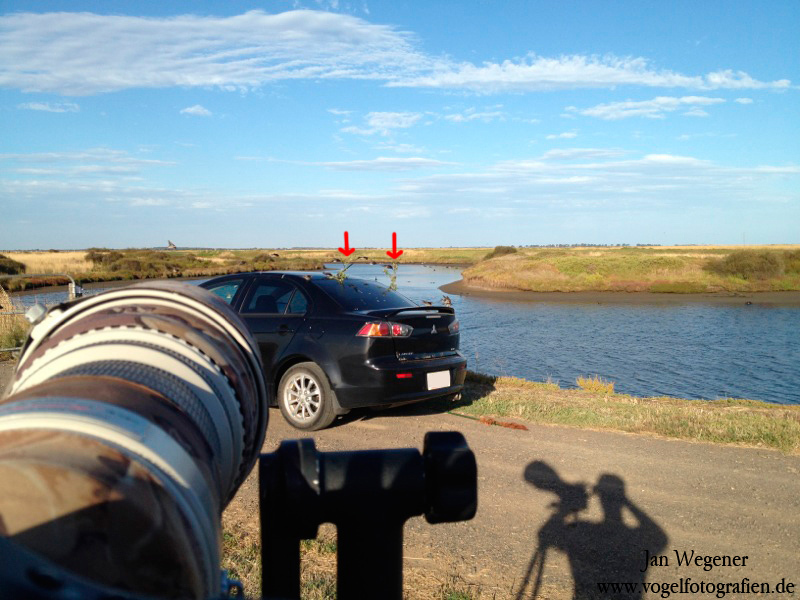 Earlier this year I parked my car near a little creek and walked away with my camera. When I came back, I noticed that hundreds of Welcome Swallows (Hirundo neoxena) had started to use my car as a perch. They also kept hovering directly above the car. I immediately tried to get some flight shots, but only with mixed results. 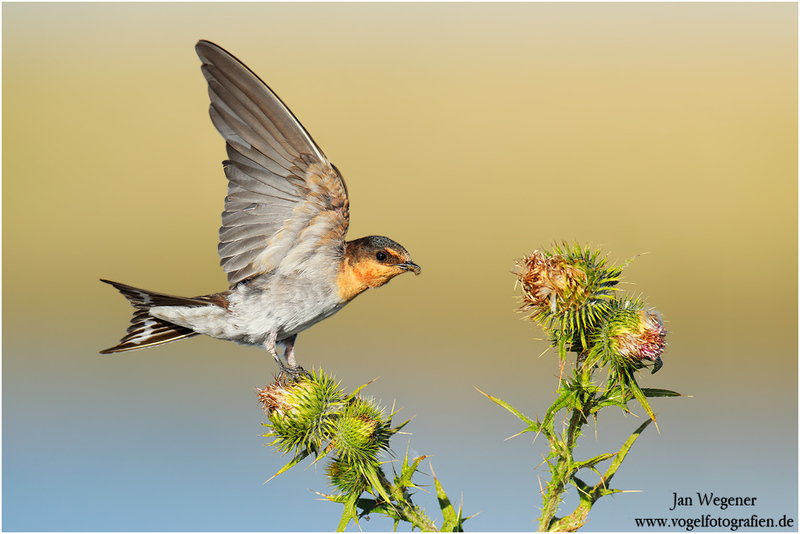 I realized that I needed some sort of target for the Welcome Swallow to perch and. I quickly looked around and found a few thistles behind me. I quickly grabbed two of them and attached them to my car. I only took a few minutes for the Welcome Swallows to come back. 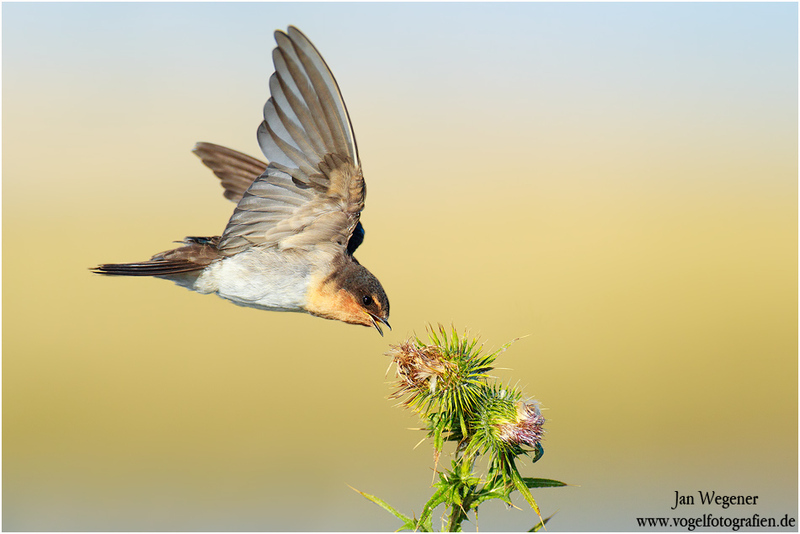 To my surprise, the swallows started to pick apart the thistles, which enabled me to get some great images.